This stylish company continues to forge ahead – this time with a brilliant new cot, and an organic makeover for one of their beautiful baby rockers. Everything retro is most certainly cool again – and cots are no exception. 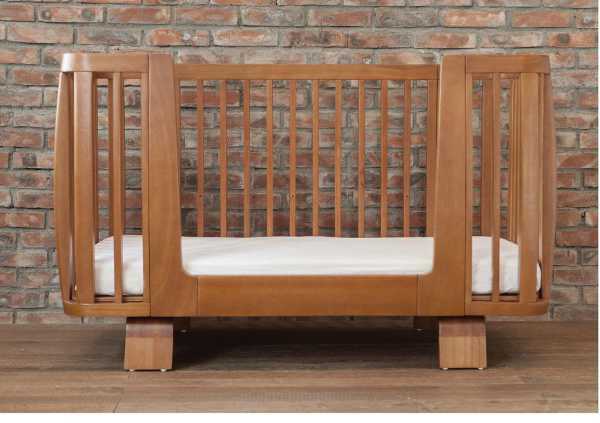 But the best thing about these gorgeous cots from Bloom is they still ooze retro cool, but are obviously so much safer than the cots from the fifties. The new Bloom Retro cots are inspired by mid-century design, with their beautiful curves. They are suitable for newborns through to five-year-olds, with a bed rail available for purchase. 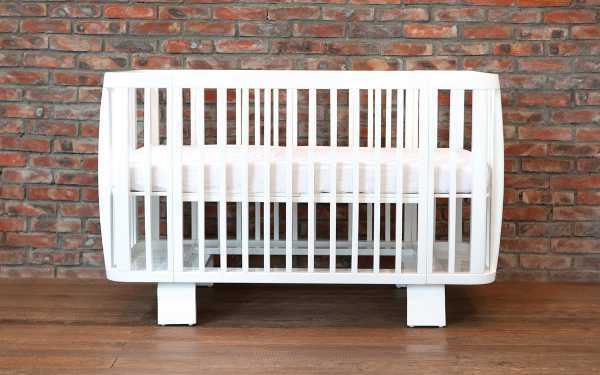 The cot is available in oak and coconut white. 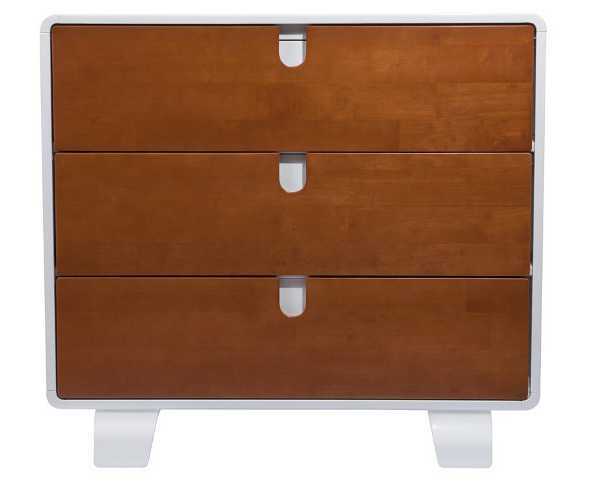 As part of this new range, there’s also a solid wood dresser, which transforms into a change table with the universal change tray, which is sold separately. Roger Armstrong is looking to bring this range to Australia in the middle of the year, and the price of the cot would be about $1499. We’ll keep you posted. 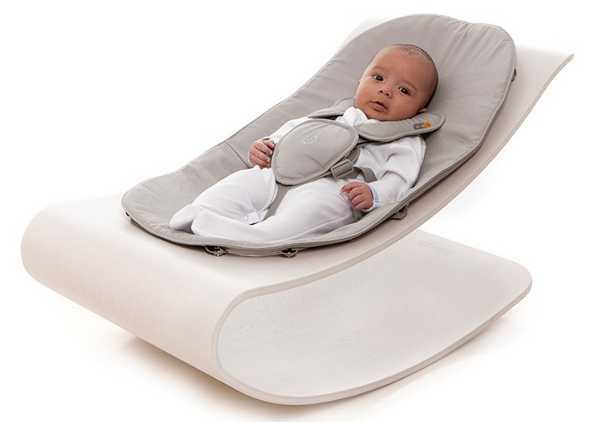 Meanwhile, in other fantastic Bloom news, Bloom’s beautiful rockers can now be adorned with organic cotton seat pads, which sounds very comfortable! Coco seat pads will still be available in all of the previous leatherette and denim options, but this month organic cotton pads in shades of frost grey, henna brown and coconut white will join the crew. Bloom is currently still taking pre-orders on these seat pads, which are due to become available shortly. 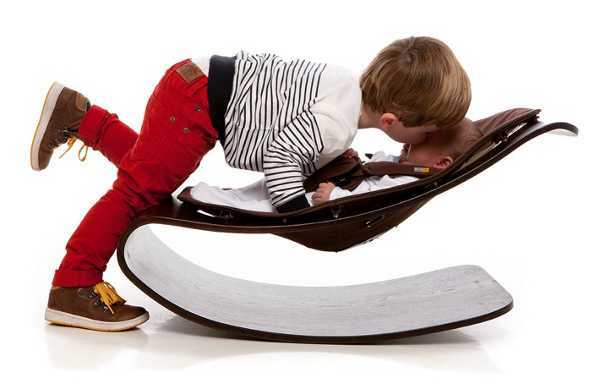 Check our previous feature on the Coco Go Lounger, which is available locally through Roger Armstrong, to learn more about this gorgeous rocker.